Is it allowed to exit the runway by opposites High Speed Taxiway? Is it allowed to exit the runway on a High Speed Taxiway to the opposite side? (see red line in image below). Assume the situation allows it, like airplane limits, airport congestion, weather, etc. 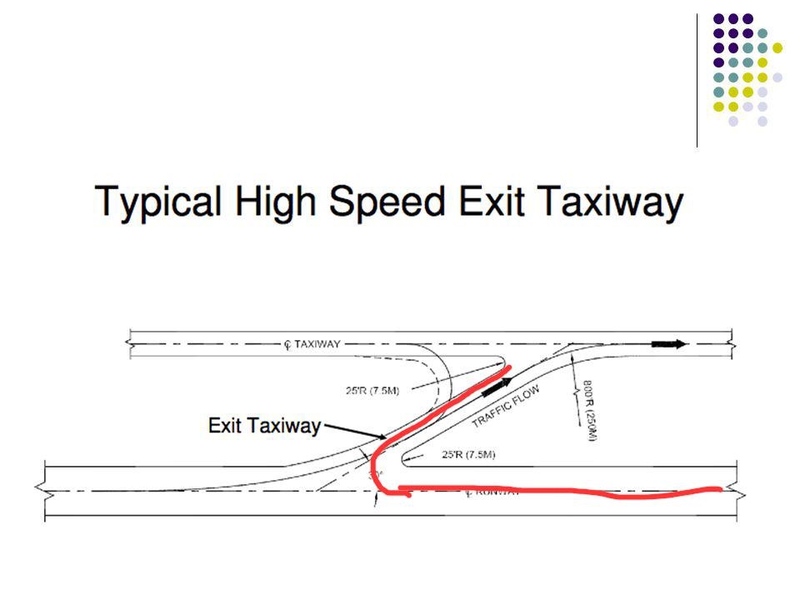 If you land in such a manner to come to a reasonable taxi/turn speed where the closest available exit taxiway is a "opposite high speed" taxiway, At this point you can either taxi forward to the next available 90 or high speed, -OR- use the closest "opposite high speed"
Not the answer you're looking for? Browse other questions tagged faa-regulations airport taxiways or ask your own question. Where is the taxiway between the Boeing factory and Paine Field airport? For what reasons might a taxiway be mistaken for a runway? Are agricultural pilots allowed to use a highway as a runway? Does the “follow” instruction give an aircraft clearance to turn onto a taxiway and/or cross a runway?